Visits by Prashant Trivedi & co. 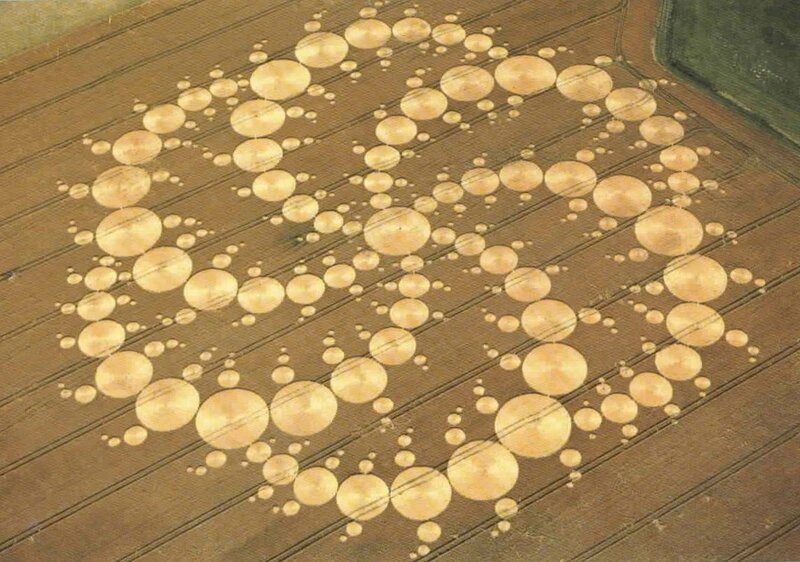 Crop circles are symbolic patterns which have been forming around the globe in crop laden fields for as long as present day history can recall. 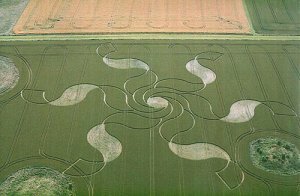 They have been increasing in number since the mid 1970's & have attracted all kinds of attention since. 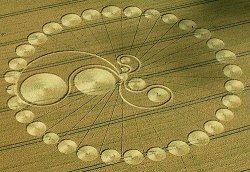 Even though 'Crop Circles' is a famous term but the designs are not always circular & thus the more accurate term would be 'Crop Designs or Formations'. One thing which is immediately clear to anyone (barring professional sceptics!) 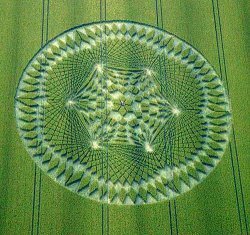 who steps into any real crop circle for the first time is that they are not man-made. 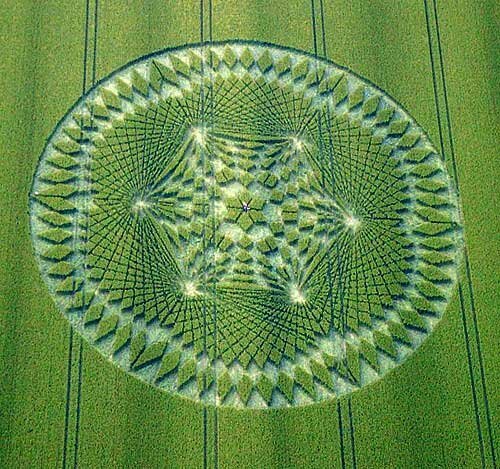 We can't even draw these patterns properly on a piece of paper in a matter of minutes let alone stamp them on a huge area on a wheat field with hairbreadth precision. 1. The crop circles are formed within the blinking of an eye, a fact substantiated by numerous eyewitness accounts and film footages. 2. None of the stalks are ever broken. They are all gently folded down in a perfectly ordered circular pattern. 3. 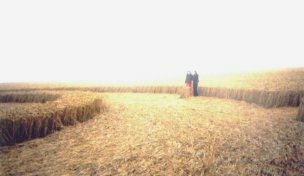 The edges of the circles are extremely smooth and the demarcation between the rolled over stalks and standing stalks is astoundingly precise. 4. 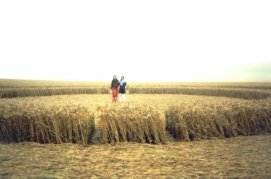 The scale of the circle formation is usually quite huge. 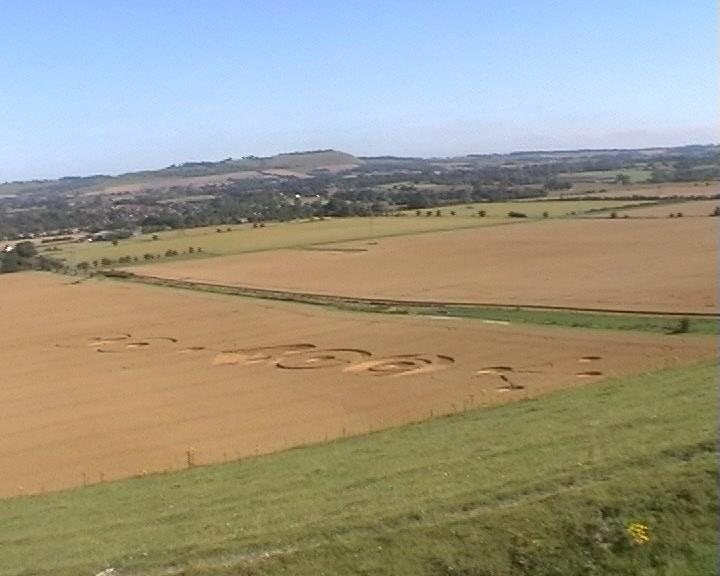 Most of them can only be properly viewed and assessed from the air. 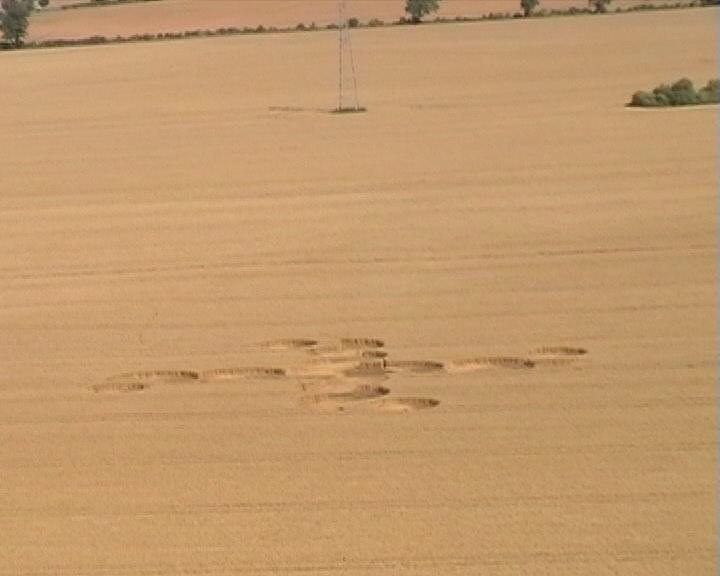 Some of the formations have up to 400 individual circles strewn across an area over 900 yards. 5. 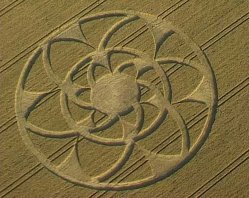 The designs are perfectly symmetrical and incorporate advanced mathematics and geometry. 6. 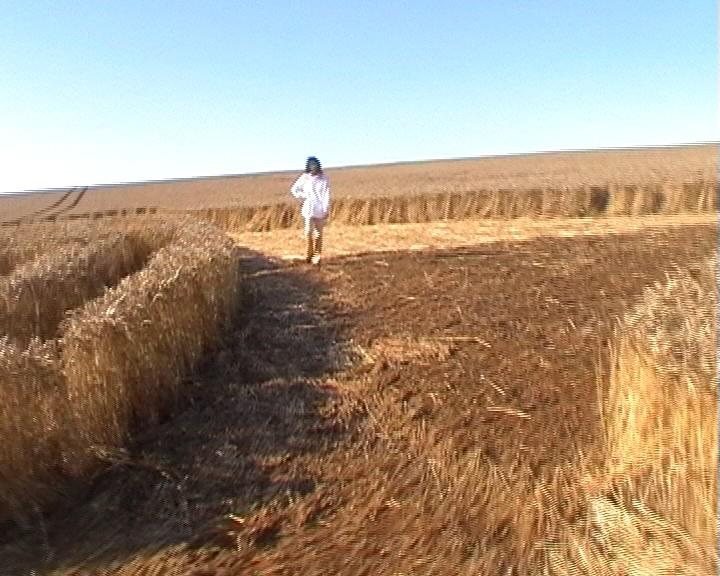 The crop stalks show evidence of being genetically altered. 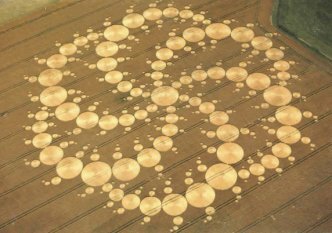 In the last 30 years alot of skeptics have tried to prove that crop circles are manmade hoaxes, but their attempts have never gone past making jaggedy patterns which don't resemble a proper circle from any vantage point. 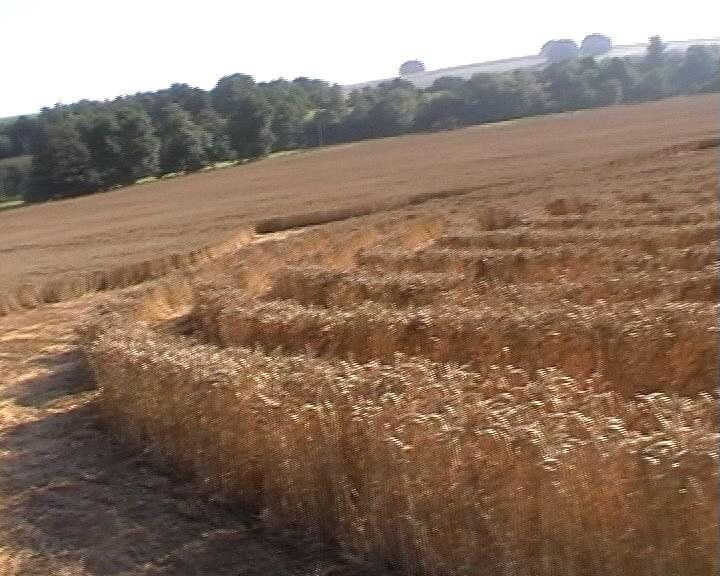 All that's usually left behind is a messy heap of damaged crop stalks. It is common practice in today's society to dispose any such phenomenon which can't be explained through science or rationality to the rubbish-bin of "paranormal". 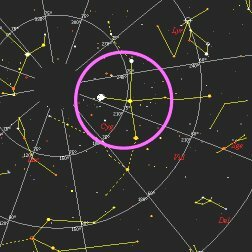 Those few who are genuinely interested find themselves contending with a hundred thousand theories thrown at them from a plethora of scholars, engineers, ufologists, newagers, geologists, meterologists etc. No wonder one is always left with more questions than answers. 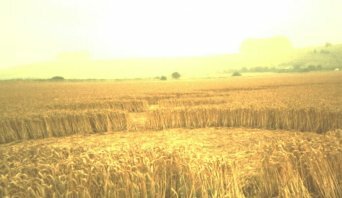 The crop formation phenomenon like many other things is a battleground for struggle between the 'evil' & divine' It is a testing ground for whose magic is stronger and who has more control of the multiversal functionings. The messages which come through the divine will are more pleasant & evolutionary. 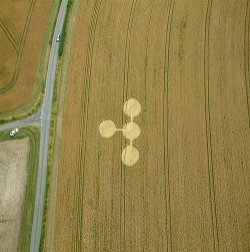 The messages (formations) which come through the evil demiurge are more tech related & fear mongering. 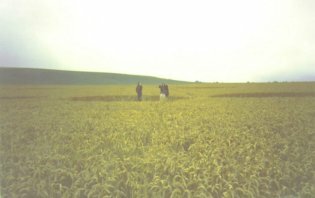 Why do they primarily appear in specific areas like the Wiltshire plains of England? 1. 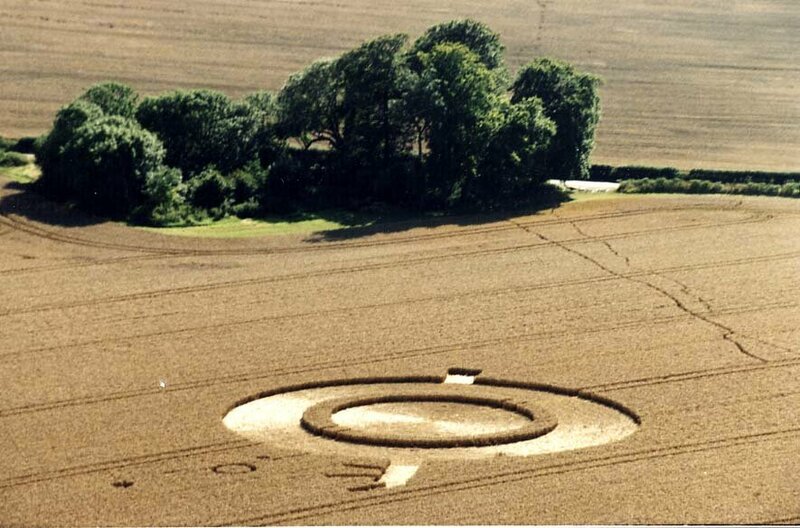 The area lies on a major leyline (astral-physical interface) and has been a sacred site for millenia, as indicated by the presence of stonecircles like Avebury and Stonehenge. 2. The area is easily accessible ( only one and half hours from London ). Obviously the idea is to reach out to as many people as possible ! 3. 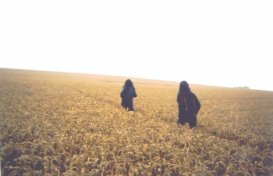 The fields are relatively small and the formations are never too far from the road. 4. 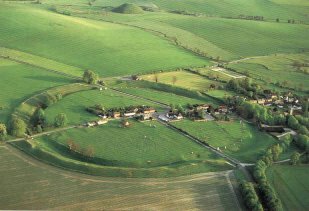 There are a lot of natural and man-made hills in the area which makes it very easy to sight a new formation. 5. 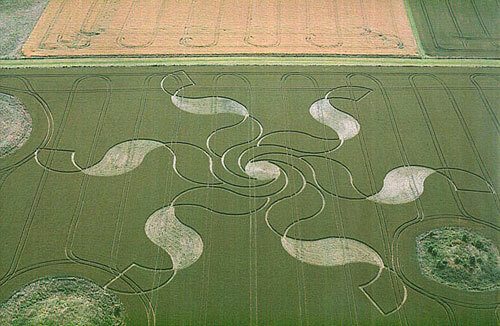 Wheat/Barley/Rapeseed fields provide an ideal canvas for circlemakers. 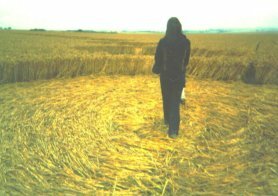 What does it feel like to stand in the middle of a crop circle?